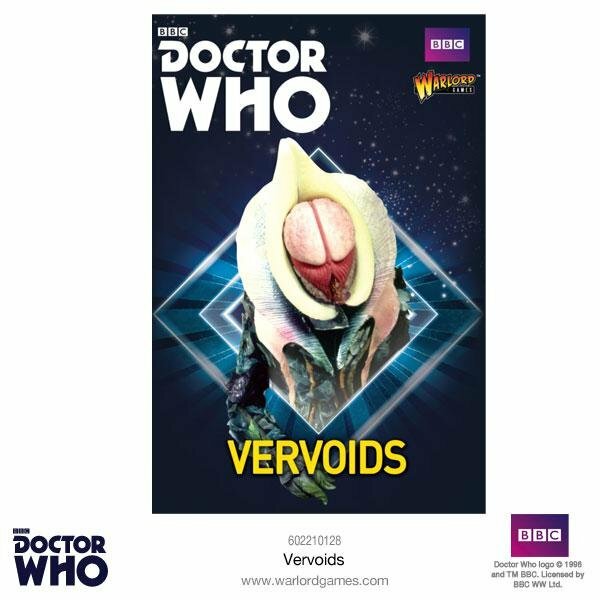 Vervoids are humanoid plants, artificially created by human scientists for slavery. They are harvested in pods and have very short lifespans – growing and the decaying within a year. They are capable of releasing gas from their mouth-like appendages and poisonous darts from their arm tendrils. Their bodies are covered in leaves – if these are placed in soil, new Vervoids can be created. They saw their human creators as a threat, rebelling against them. Their attempts to kill all on-board the galactic spaceliner, Hyperion III failed, when the Sixth Doctor wiped them out by accelerating their photosynthesis rate, ageing them to death.